Volume climb from 3.4 million TEUs to 3.9 million TEUs during the month. China-based terminal operator saw volume climb from 3.4 million TEUs to 3.9 million TEUs during the month. 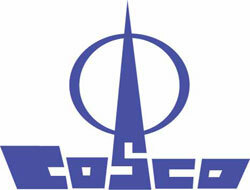 COSCO Pacific said this week that throughput for its 20 terminals was up 14.1 percent in October compared to the same month in 2007. In raw numbers, the China-based terminal operator saw volume climb from 3.4 million TEUs to 3.9 million TEUs during the month. Meanwhile volume year-to-date has climbed 20.7 percent, from 31.6 million TEUs to 38.1 million, despite a downturn in container demand the second half of the year. The growth has largely come from up-and-coming terminals like Nansha (on the western side of the Pearl River Delta) and Dalian. There's also the 209,000 TEUs in October that moved through the Suez Canal Container Terminal, in which COSCO acquired a 20 percent stake in last October. Volume at COSCO's two biggest container terminals -- Yantian and Qingdao -- had modest growth of 1 percent to 2 percent in October, while terminals in Hong Kong and Shanghai actually saw volumes decline.